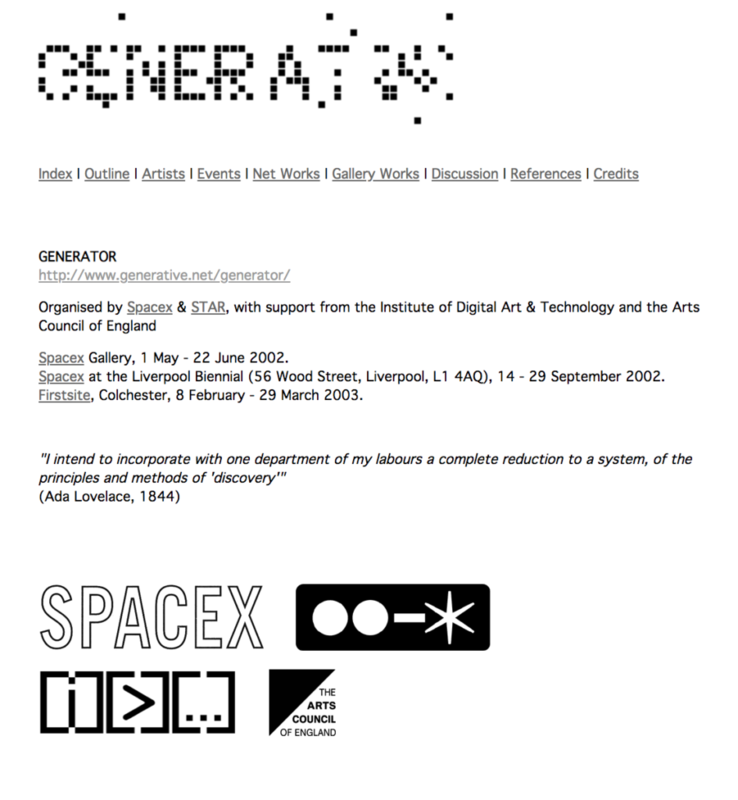 Generator: curated by Spacex & STAR, with support from the Institute of Digital Art & Technology and the Arts Council of England (Collaborative Arts Unit). 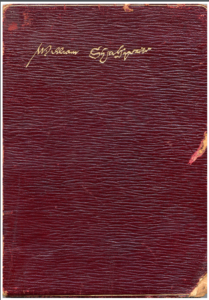 Spacex Gallery, 1 May – 22 June 2002, and touring in the UK. Generator will present a series of ‘self-generating’ projects, incorporating digital media, instruction and participation pieces, drawing machines, experimental literature, and music technologies. 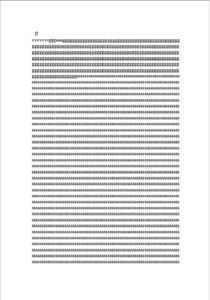 All work will be produced ‘live’, in real-time, with some elements continuing indefinitely. The exhibition can also be described as ‘generative’ in that it will develop and expand over time, by acting as a point of connection for different generative practices across disciplines, pointing to the relationship of visual arts to other media – especially sound works, performance, and issues relating to chaos theory and complexity, neural networks and artificial life. 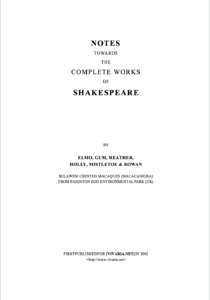 Notes Towards The Complete Works of Shakespeare Book.